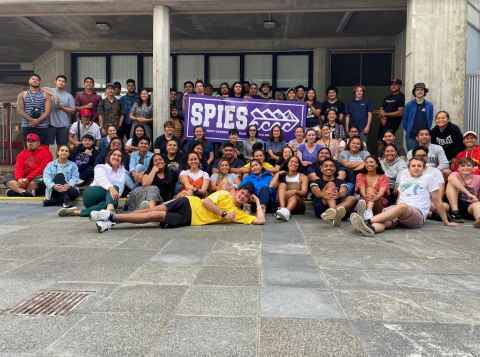 SPIES is a network of Māori and Pacific Engineering students who have supported each other since 1993 by providing a range of social, cultural and sporting activities. The network also has a dedicated study and recreation space in the Faculty of Engineering. While an engineering degree is hard work, SPIES makes life a little more enjoyable. Come along and connect with current members at our SPIES room located at 201N-684, Human Sciences Building, 10 Symonds Street. To find out more about SPIES, including how to join and what we have to offer, email spies@auckland.ac.nz. SPIES hosts a closed group for members only. Join us on Facebook. The SPIES Executive Board seeks to ensure that the needs of SPIES members are looked after and taken care of. We organise various events throughout the year that cover both professional development and social aspects of university life, and are key to ensuring that the SPIES values and culture are upheld to the highest degree.